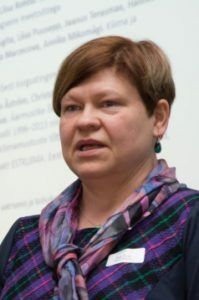 Piia Post is Associate Professor of Meteorology and Climatology at the Institute of Physics of the University of Tartu, where she teaches meteorology and climatology. She has expertise in remote sensing of the atmosphere, specifically of clouds and trace gases, but recently has focussed on large-scale atmospheric circulation and its impacts on extreme hydro-climate events. Piia organises training courses for students, as well as local and regional conferences. She has been involved in the Baltic Earth network of earth system scientists.